A critical crossroads now lies ahead in the years-long effort by Forests Forever to reform timber regulations in California. Your letters and emails today can help us push ahead to our goal: to set the stage for meaningful overhaul of the state's logging rules by a broad-based team of stakeholders free of timber industry control. In 2012 Gov. Jerry Brown signed A.B. 1492 into law, which established a one percent tax on lumber products sold in the state. A key purpose of this new revenue stream was to set up a long-overdue system for measuring logging's comprehensive, watershed-scale environmental effects. Another was to help identify forest restoration opportunities. With the enactment of A.B. 1492 these vital but long-neglected public policy objectives now have both a clear mandate and a substantial source of funding! But in recent months the timber industry and its customary allies in the state agencies overseeing logging have worked to roll up the reform process into their own non-transparent body called the Effectiveness Monitoring Committee, which threatens to gut the reform process, as has happened many times before. We must not let this happen! A.B. 1492 removed from the shoulders of the timber industry all of its regulatory costs, placing these expenses squarely onto the consumer. The public not only has a right to know about this reform process, but also to have a seat at the table every step of the way! Click here to take action and help ensure that the citizens of California get the timber rules we are paying for and have a right to expect! 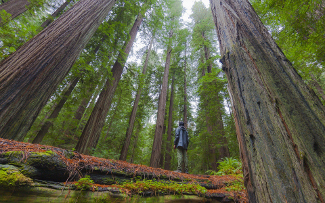 For a precise breakdown of the broad-based array of stakeholders who should be seated on the forestry pilot project assessment teams, take a look at Forests Forever-sponsored A.B. 875 (Chesbro). Scroll down to Article 5.5 Watershed Pilot Projects. 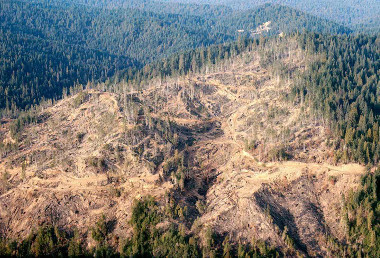 Read the latest "Diggin' In" column by Forests Forever advocate Richard Gienger, by clicking here. Scroll to the end of the piece for a discussion of recent developments related to A.B. 1492 implementation and timber regulatory reform efforts. Public meeting can help clean up logging! Oct. 14 Ukiah workshop needs big turnout online or better yet, in person!